In this project we worked with two teachers in a primary school to investigate how we can use multiplication and division contexts to help young children develop part-whole thinking to solve problems in mathematics. The children worked with familiar contexts that involved groups of objects (e.g., pairs of socks) using counting, grouping, and equal-sharing strategies. Research evidence from a large cohort of New Zealand students shows that at most year levels, insufficient numbers of students meet (or exceed) the expectations reflected in the Curriculum and National Standards. Teachers traditionally focus on addition and subtraction without recognising the value of multiplication and division contexts for enhancing part-whole thinking. Part-whole thinking is fundamentally important for developing an understanding of many key mathematical ideas such as multiplication, division, algebra, and fractions, ratios, and proportions. This project enabled an exploration of appropriate word problems that focus on equal-sized groups within the whole. Throughout the project there were on-going design research iterations exploring the use of multiplication and division contexts to support part-whole understanding. Assessment data were quantified to provide individual profiles of the students, an overall picture of the learning needs of students in the class, and to contrast students’ initial mathematical understandings with their understandings at the end of the study using statistical analysis (SPSS). Interview data from teachers were subject to a content analysis based on key themes. Video-recorded lessons were analysed to identify critical incidents related to the development of part-whole understanding. Students’ workbooks and teachers’ modelling books were also subject to content analysis. 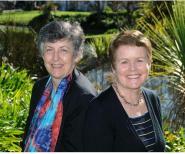 Knighton Normal School and The University of Waikato have a long-established partnership. This partnership provided opportunities for teachers and researchers to work together on a project of mutual interest and importance in enhancing the quality of learning and teaching for students from culturally diverse families. Our partners were two junior class teachers Jo Lelieveld and John Brooker. Bicknell, B., & Young-Loveridge, J. (2015).Using multiplication and division contexts with young children to develop part-whole thinking. Set: Research information for teachers. No.2, 53-59. Young-Loveridge, J., & Bicknell, B. (2015). Using task-based interviews to assess early understanding of number. In C. Suurtamm (Ed. ), Annual Perspectives in Mathematics Education (APME) 2015: Assessment to enhance learning and teaching (pp. 67–74). Reston, VA: NCTM. Young-Loveridge, J., & Bicknell, B. (2015). Using multiplication and division contexts to build place-value understanding. In X. Sun, B. Kaur, & J. Novotná (Eds. ), Proceedings of the Twenty Third International Congress of Mathematics Instruction (ICMI23): Primary mathematics study on whole numbers (pp. 379–386). Invitational conference, Macau, China. 3–7 June, 2015. Bicknell, B., & Young-Loveridge, J. (2015). Young children’s number-line placements and place-value understanding. In M. Marshman, V. Geiger, & A. Bennison (Eds. ), Mathematics in the margins (Proceedings of annual conference of Mathematics Education Research Group of Australasia) (pp. 101-108) Sunshine Coast: MERGA. Young-Loveridge, J., & Bicknell, B. (2015). Using multiplication and quotitive division contexts to provide foundational place-value understanding. In K. Beswick, T. Muir, J. Wells (Eds. ), Proceedings of 39th conference of the International Group for the Psychology of Mathematics Education, (Vol. 1, p. 212). Hobart, Australia: PME. Bicknell, B., & Young-Loveridge, J. (in press). Using problems solving and representations to build number knowledge. Proceedings of International Symposium for Elementary Mathematics Teaching (SEMT), Charles University, Prague, Czech Republic, 16–21 August 2015. Bicknell, B., & Young-Loveridge, J. (under review). Teacher-researcher partnership: Working together to enhance young children’s learning in mathematics. In R. McNae & B. Cowie (Eds. ), Realizing innovative partnerships in educational research. Rotterdam, The Netherlands: Sense. Young-Loveridge, J., & Bicknell, B. (2014). Developing young children’s understanding of place-value using multiplication and quotitive division. In C. Nicol, S. Oesterle, P. Liljedahl, & D. Allan (Eds. ), Proceedings of the 38th Conference of the International Group for the Psychology of Mathematics Education (PME) and the 36th Conference of the North American Chapter of the Psychology of Mathematics Education (PME-NA) (Vol. 5, pp. 409–416). Vancouver, Canada: PME. Young-Loveridge, J. & Bicknell, B. (2014). Supporting the development of number fact knowledge in fie- and six-year-olds. In J. Anderson, M. Cavanagh, & A. Prescott (Eds. ), Curriculum in focus: Research guided practice. Proceedings of the 37th annual conference of the Mathematics Group of Australasia (pp. 669–676). Sydney, NSW, Australia: MERGA. Young-Loveridge, J., & Bicknell, B. (2013). Introducing multiplication and division contexts in junior primary classes. Teachers and Curriculum, 13, 70–76. Young-Loveridge, J., & Bicknell, B. (2013). Using multiplication and division tasks to support young children’s part–whole thinking in mathematics. In J. Novotná & H. Moraová (Eds. ), Tasks and tools in elementary mathematics: [Keynote address] in Proceedings of the International Symposium for Elementary Mathematics Teaching: SEMT13, (pp. 55–66). Prague, Czech Republic: Charles University. Young-Loveridge, J., & Bicknell, B. (2013). Using multiplication and division contexts with young children: Crossing the boundary from counting to part–whole processes. In T. Dooley, S. NicMhuirí, M. OReilly, & R. Ward (Eds.). Mathematics education: Crossing boundaries: [Keynote address] in Proceedings of the Fifth Conference on Research in Mathematics Education: MEI 5, (pp. 33–51). St Patrick’s College, Drumcondra, Dublin City University, Dublin, Ireland. Bicknell, B., Young-Loveridge, J., & Simpson, J. (2015, March). Using division problem-solving contexts to build place-value understanding. Workshop presented at the Primary Mathematics Association one-day seminar, Waipuna Conference Centre, Auckland. Young-Loveridge, J., & Bicknell, B. (2015, June). Using multiplication and division contexts to build place-value understanding. Paper for the Twenty Third International Congress of Mathematics Instruction (ICMI23): Primary Mathematics Study on Whole Numbers. Invitational conference, Macau, China. 3–7 June, 2015. Bicknell, B., & Young-Loveridge, J. (2015, June). Young children’s number line placements and place-value understanding. The 38th annual conference of the Mathematics Education Research Group of Australasia, Sunshine Coast, 28 June–2 July 2015. Young-Loveridge, J., & Bicknell, B. (2015, July). Using multiplication and quotitive division contexts to provide foundational place-value understanding. Paper for the annual conference of the International Group for the Psychology of Mathematics Education (PME), Hobart, Tasmania, 13–18 July, 2015. Bicknell, B., & Young-Loveridge, J. (2015, August). Young children’s number line placements and place-value understanding. Paper for International Symposium for Elementary Mathematics Teaching, Charles University, Prague, Czech Republic, 17–21 August, 2015. Young-Loveridge, J., & Bicknell, B. (2014, July). Supporting the development of number fact knowledge in fie- and six-year-olds. Paper presented at the 37th Annual Conference of the Mathematics Education Research Group of Australasia, Melbourne, Vic, Australia. Young-Loveridge, J., & Bicknell, B. (2014, July). Developing young children’s understanding of place-value using multiplication and quotitive division. Paper presented at the 38th Conference of the International Group for the Psychology of Mathematics Education (PME) and the 36th Conference of the North American Chapter of the Psychology of Mathematics Education, Vancouver, Canada. Young-Loveridge, J., & Bicknell, B. (2014, July). Developing number fact knowledge for differing contexts. Paper presented at the Science, Technology, Engineering, Mathematics (STEM) in Education conference, University of British Columbia, Vancouver, Canada. Young-Loveridge, J., Bicknell, B., & Lelieveld, J. (2014, May). Strengthening place value: Using multiplication and division contexts with young children. Paper presented at the Primary Mathematics Association One Day Seminar, Waipuna Conference Centre, Auckland. Young-Loveridge, J., Bicknell, B., & Lelieveld, J. (2014, May). Strengthening place value: Using multiplication and division contexts with young children. Paper presented at the Waikato Mathematics Symposium, Melville Intermediate School. Young-Loveridge, J., & Bicknell, B. (2014, May). Using multiplication and division contexts to enhance part–whole thinking in mathematics. Paper presented at the Technology, Environmental, Mathematics & Science (TEMS) Education Research Centre Autumn Seminar Series, University of Waikato. Hamilton, New Zealand. Young-Loveridge, J. (2013, September). Using multiplication and division contexts with young children: Crossing the boundary from counting to part–whole processes. Invited keynote address to the National Conference of Mathematics Education Ireland (MEI5). St Patricks College, Drumcondra, Dublin City University, Dublin, Ireland. Young-Loveridge, J. (2013, August). Using multiplication and division tasks to support young children’s part–whole thinking in mathematics. Invited keynote address to the International Symposium for Elementary Mathematics Teaching (SEMT), Charles University, Prague, Czech Republic. Young-Loveridge, J., & Bicknell, B. (2013, September). Using multiplication and division contexts with young children to enhance their appreciation of number properties. Invited Address at King’s College London, London, England. Young-Loveridge, B., & Bicknell, B. (2013). Television interview with Hillary Entwistle about research on multiplication and division with young children. Aired on TV Central (Channel 30), 9 May at 7.55pm and 10.55pm.